Prime performer alias of Lasse Bavngaard, a central figure in Danish rap over the years. In the early 90's he was part of the producer team Madness 4 Real but left the team before they developed into Den Gale Pose. In 1994 he co-founded Malk De Koijn with Tue Track and Geolo G.. They released their first album in 1998 and a second in 2002, both critically acclaimed and granting the band underground succes as the more artistic advanced among their contemporaries. The band didn't split up but ceased to perform and record from 2004. After that Blæs Bukki formed Bikstok Røgsystem with DJ Pharfar and Eaggerman. They released a single very succesfull album in 2005, including three hit singles. 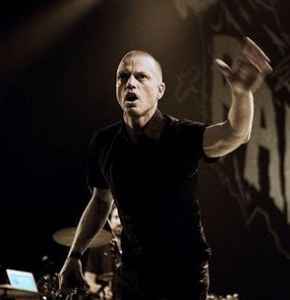 In 2007 he formed the band Balstyrko with Ormen and vocalist Ane Trolle. They released the also succesful debut album in 2009 and appeared that year at the Roskilde Festival- where Blæs Bukki also appeared with the reunited Malk De Koijn. The reunion album was released in 2011 going straight to #1 in the Danish album chart. Blæs Bukki has also taken part in theatrical productions, e.g. the 2008 show "Biblen" at Nørrebro Teater.